Decatur’s giant beach party is coming soon, complete with 60 tons of sand! 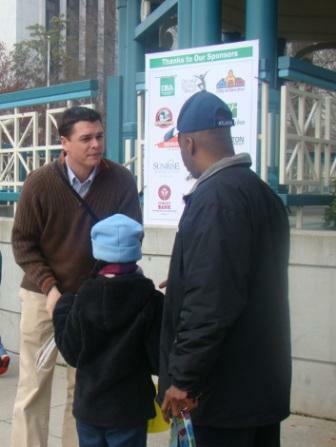 There are many volunteer shifts available, beginning with setup at 9 a.m. on June 20. Volunteers will receive free party admission. 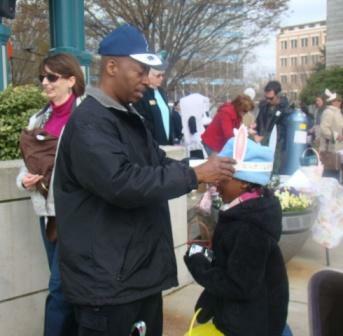 To sign up with Volunteer Decatur, click here. Questions? 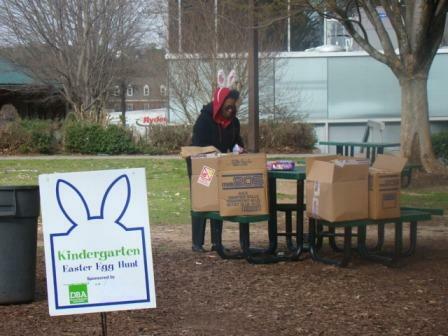 Email volunteer.decatur@decaturga.com or call the Decatur Visitor Center at 678-615-0915. Folks Lined Up and Ready to "Hunt"
The community is invited to join the Decatur City Commission for the annual State of the City Address delivered by Mayor Floyd and the State of the Schools Address delivered by Decatur Board of Education chair Valarie Wilson on Tuesday, January 26th at the monthly meeting of the Decatur Business Association. The reception begins at 5:15 pm and the program begins at 6 pm. The meeting will be held at the new Decatur High School Auditorium in downtown Decatur. The Concerts on the Square committee will be selecting bands for the 2010 Concerts on the Square and the Blue Sky Concerts the first week of February. 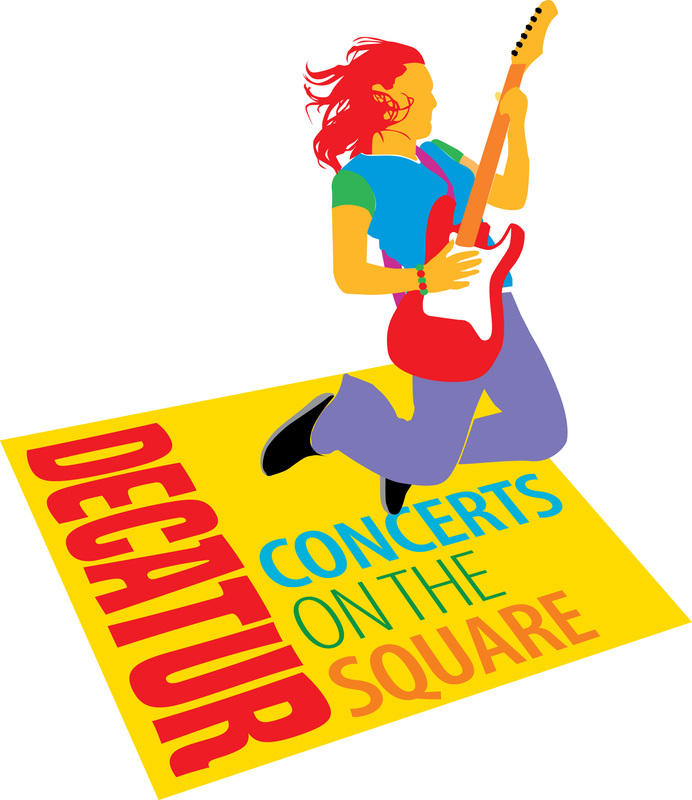 Bands can apply by going to the Decatur Business Association website and filling out the Concert Series Application. A CD or a website where the band’s music can be heard is required. The committee is looking for “fun”, upbeat bands for Saturday night that the crowds will enjoy dancing to. Blue Sky Concerts are a little more laid back, and a great opportunity for smaller bands and singer/song writers to have their music heard. Questions? Call 678-553-6573. 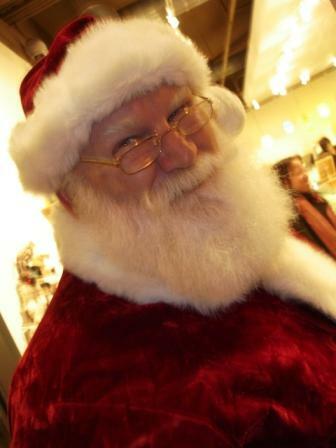 Breakfast With Santa December 19th! The annual Breakfast With Santa will be held on Saturday, December 19th at the Decatur Holiday Inn. 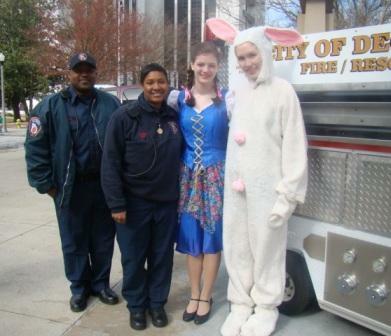 Santa will arrive on a City of Decatur Fire Truck at 8 am and the buffet breakfast will be served until 10 am. Entertainment will be provided by Decatur School of Ballet. Tickets are sold online or at Decatur CD and are $12 for adults, $7 for children. The ticket price includes a photo with Santa. 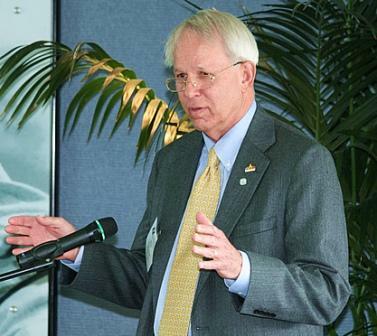 The event is sponsored by the Decatur Business Association. Have Fun in Decatur This Weekend! The Decatur Garden Tour will be held this weekend. View an eclectic mix of Gardens as well as a special evening Tour on Saturday night. Tickets are still available. Click here for more details, a list of the Gardens, and times. Beacon Hill Studios is having an Open House and a fundraiser for the Decatur High School Cultural Arts Program on Friday and Saturday. $5 donation suggested. Click here for times and more information. The City of Decatur celebrates the 2nd Annual Family Health and Fitmess Day on Saturday, September 26 from noon until 4 pm at the Decatur Recreation Center. Visit the Expo and learn about the importance of fitness and exercise in your life. Free. Saturday’s Concert on the Square features Australian Based singer Geoff Achison. The Concert runs from 7 until 9:30 pm. Stop by one of our many restaurants before the Concert or order your meal to go to enjoy on the lawn of the Old Courthouse Square. Free. The Decatur Cooperative Ministry presents the 14th Annual Garden of Eatin’ on Saturday from 4 until 7 pm at the Holiday Inn Conference Center. Taste food from over 20 local reataurants. Tickets are $20 per person and proceeds from the event benefit the DCM. For information click here. Have a GREAT weekend in Decatur! Calling all Music Fans! 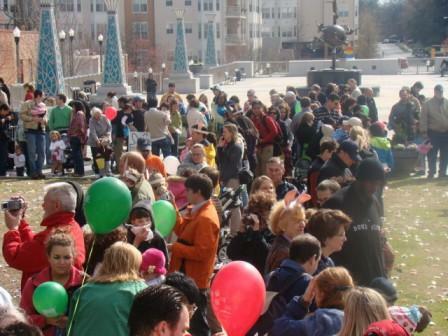 You have three opportunities to hear free music in Decatur this week. On Wednesday, the Decatur Business Association continues the Blue Sky Concerts, sponsored by SunTrust Bank. This week’s concert features Ernie Quarles and Shaun Anderson, playing R&B. They have played the Decatur Wine Festival for the past few years, and I promise you will enjoy them. So pack a picnic and join us at noon on Wednesday. Jazz Nights in Oakhurst continue on Thursday on the lawn of the Solarium. The music begins at 7 pm and features Joel Granson. 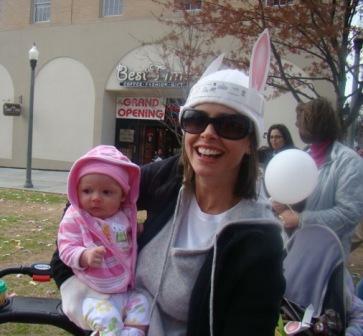 Saturday night brings another Concert on the Square, sponsored by Wachovia Bank. 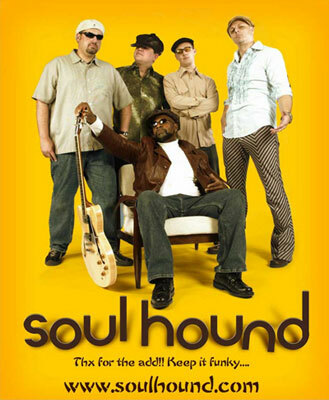 Join us on the Square to hear Soulhound, which plays…..you guessed it…..Soul! Bring a picninc or order dinner to go from one of the many restaurants in Decatur. The Decatur Business Association’s Blue Sky Concerts September series begins tomorrow with former Decaturite Jennifer Daniels. Pack apicnic lunch or visit one of our many restaurants to get a “lunch to go”. Thanks to SunTrust Bank, who sponsors the Blue Sky Concert series and to Kaiser Permanente and Little Shop of Stories, co-sponsors of this week’s Concert. 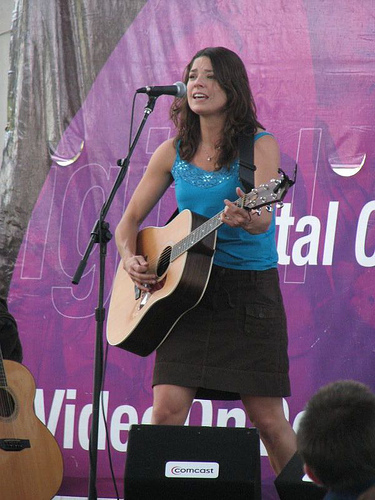 For a full schedule of the performers at this month’s Blue Sky Concerts and Concerts on the Square, visit www.decaturdba.com.